Session 1B in Full Swing! Session 1B has now officially begun! Today was a wonderful day of seeing old and new families fill up camp property and cabins – we have been waiting all year for this! We like to pack our days full of activity at camp, and this afternoon was no exception. After all the campers had settled into their cabins, we headed to Lake Doris for our swim test, followed by tribal initiation. Being a part of a tribe is a foundational element of a camper’s experience (see my previous blog post on the importance of tribes) and today we watched new campers join the brotherhood of the Seminole and Iroquois tribes. Each night, the two tribes compete in an evening activity that counts towards winning the ultimate prize at camp, The Banner. After a delicious dinner of fried chicken, mashed potatoes, green beans, and apple turnovers, the tribes headed out for the first evening activity of the session – sock war. Picture a capture-the-flag-style game involving running around camp, throwing socks, and just a generally large amount of fun. Howe A, Jack A, Joseph A, Coburn B, Alberto C, Benjamin C, Christian L, Sean L, Chase M, Wyatt M, Adam N, and Jake W.
Elliot D, Owen F, Charles M, Collin P, Samuel S, Keaton W, and Julian W.
It was incredible in one afternoon to already see new friendships beginning to form through cabins and tribes, and to sense the general excitement building about the adventures that are to come this summer. We are grateful that you as parents have trusted us with such a fine group of young men, and we look forward to seeing them continue to grow and discover their unique gifts. We have a great session ahead of us! 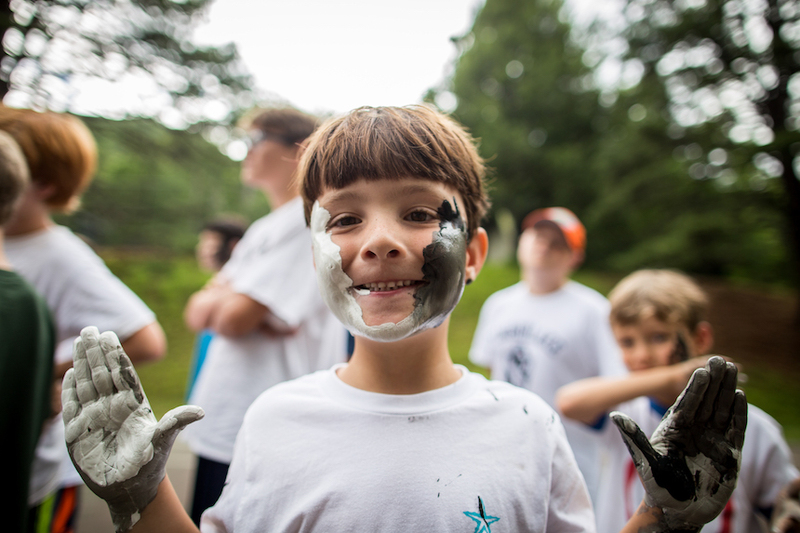 Be sure to check back in for updates on daily activities and news at camp.